As the government shutdown continues to drag on into the second month, there is a lot of media attention directed at the government's ability to continue funding housing programs. Particularly of interest is Project-Based Section 8 and Tenant-Based Section 8 for federal employees who continue to work or who have been furloughed and who are not being paid. In a prior post, we provided a few options to assist federal workers in maintaining their housing, including waiving late fees, accepting partial payments during the shutdown, etc. 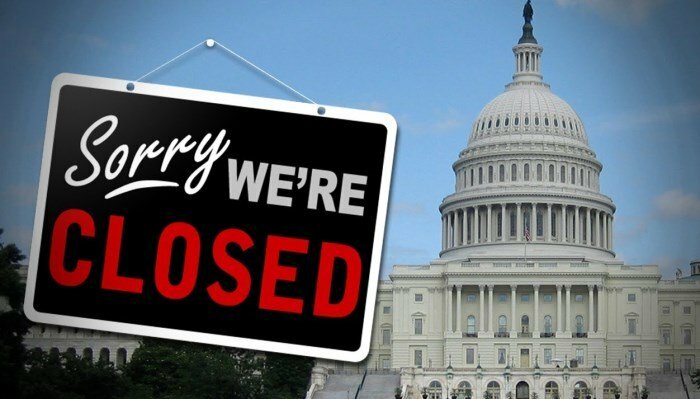 As the shutdown continues, financial circumstances may become more dire. Properly document the resident file with the current resident situation and include a copy of the agreement, if applicable. Finally, it is recommended the property owner do as much as is possible to prevent an eviction action against a federal employee. If financial circumstances exist such that the federal employee's rental payment issues affect debt service or other mandatory expenses for the rental property, it is encouraged to work with the resident to find alternative housing options. Delayed funding for HUD Project-Based Section 8 contracts imperils communities with existing contracts. In the short-term, property owners may be able to draw from reserves to continue meeting their mortgage and other obligations. However, long-term this is not be tenable making the financial solvency of these projects questionable. Without funding for new contracts or for renewals, critically needed affordable units will drop from the supply or will not be added at all. Families needing access to these units ultimately suffer. Federal Section 8 Housing Choice Voucher funding is also impacted by the partial federal shutdown and could temporarily stop flowing. It is highly recommended for property owners to contact all affected residents to let them know their government payment may be impacted by the shutdown. While the government’s portion of the rent payment may stop, the resident’s portion should continue uninterrupted with the expectation that once federal funds are available, outstanding rent owed by the federal government will be paid. Alternatives like drawing from eligible property reserves or securing other financial resources to support the property until government funds start flowing again could help bridge the gap. If there is an existing Housing Assistance Payment (HAP) contract in place that the household has signed and is a party to the HUD Model Lease form, then there is no provision within the lease that would allow the owner to terminate it and evict the resident because the government does not pay its share of the rent. Section 8 voucher residents are still responsible to pay their portion of the rent. As such, an owner could evict a voucher holder for not paying their portion of the rent. It does appear that if an owner’s HAP contract expires immediately before or during a shutdown and has not been renewed, an owner could evict a resident. Paragraph 30 of the HUD Model Lease states: “The lease agreement will terminate automatically if the Section 8 Housing Assistance contract terminates for any reason.” Further, Part C of HAP Contract: Tenancy Addendum, Section 9 states: “Lease: Relation to HAP Contract. If the HAP contract terminates for any reason, the lease terminates automatically.” Since the lease terminates automatically, the owner would presumably be under no obligation to continue to rent to the resident and would serve a notice of termination and follow the normal legal eviction process under the guidance of your local legal counsel. However, with any potential eviction action, you should consult your attorney before proceeding. Also, consider the political and public relations pressures resulting from pursuing an eviction based on the federal government failing to provide their portion of a residents rent. For more questions or information on additional resources, please contact Brett Waller at brett@wmfha.org or at (425) 656-9077.